We all know about caste reservation, in caste reservation rights are reserved for reserved caste people. In India Indians are divided into different caste i.e SC, ST, OBC, GEN. With out this option even we can't fill college admission form or apply for government job. This column is compulsory in every application form. This divides Indians and leads to discrimination and conflicts between different section of society. This type of reservation creates inequality. Reservation should not be on the basis of caste. If reservation is necessary then the method to give reservation should be changed. 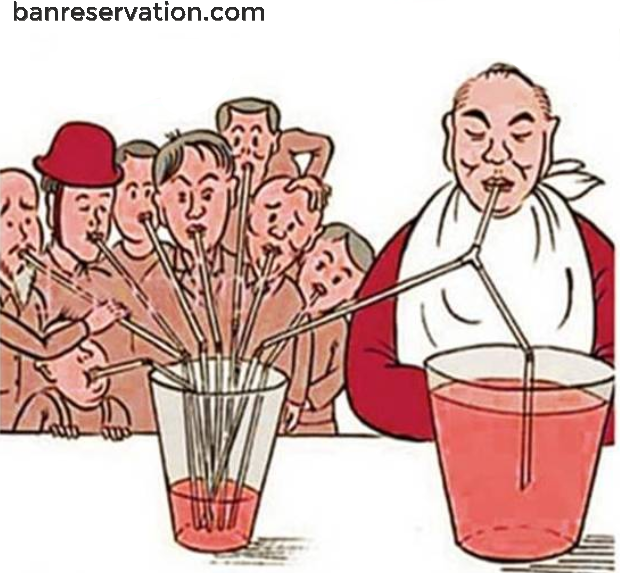 In the last post i discussed the best method on which reservation should be given. Caste reservation for lifetime is very bad for our country. Today with this type of reservation CATEGORY IS THE KEY TO SUCCESS whether government exam or admission in government college or we are applying of the government exam there is also reservation in fee. Reserved categories pay less the general category people. Then college fee comes here also there is concession for reserved categories and then turn of result comes here also reservation. Reserved categories get best colleges even if they score less then general category students. This type of caste reservation is very harmful for students. Today there are many poor general category people who need reservation but this type of reservation pulls them backward then helping them to grow. I know that there are still reserved category people who are still but that is due to there mistake. Government provided reservation for to much long period then also they are not helping themselves to get employed then there is no fault of government. The rules for giving reservation should be changed now. Today many rich people are still taking the benefit of caste reservation. Problems to general category people are rising day by day. A general category student is surrounded by reservation problems and now days many general category people are moving outside India in search of non reserved education and jobs. Today we need our country free from caste reservation where all are equal and nobody is considered first because of caste. General category students pay higher fee and need higher marks as compared to reserved category section. This reservation was given for ten years but it is still continuing. Deserved are the one who should get the place not the reserved. Step towards this caste reservation is very important and if not taken then it can harm us and our country. If you like this post then comment your views, share and also give a share on facebook. If some one comments then it feels like someone is reading my post. So friends please don't forget to comment and share this post.